Microsoft has revealed the games they’ll be adding to Xbox Game Pass in the first half of March, and there’s some big games on the way! 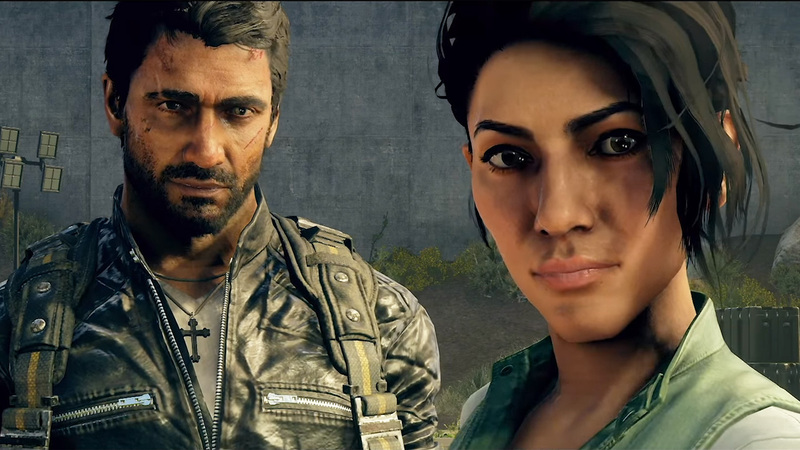 Microsoft is serving up Just Cause 4, which released only months ago, Fallout 4, F1 2018, and more! 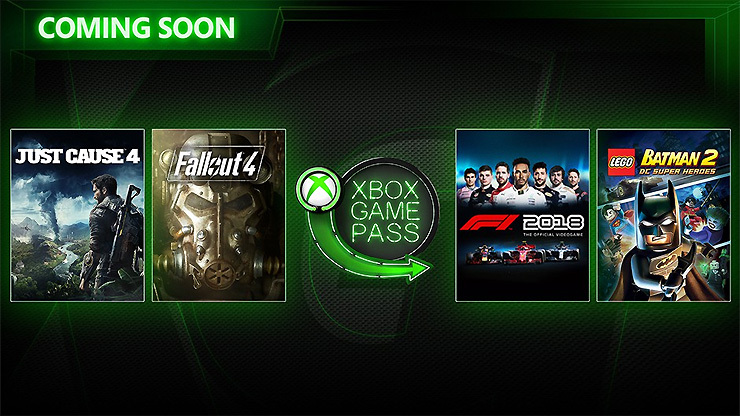 Fallout 4 had previously been on Game Pass, but was removed. Plenty to keep you busy while you wait impatiently for spring. Play as the rugged rogue agent Rico Rodriguez and venture to the Island of Solis where you can unleash chaos in a number of explosive & creative ways. With Rico’s newly customizable grappling hook, you’ll be able to stride, glide and ride through exotic landscapes besieged by extreme weather, pushing you and enemy Black Hand militia to their limits as you lead an army of chaos. Lightning-ridden rainforests, roaring deserts, howling snowstorms…and did we mention tornados!? Take in the sights and stay a while. F1 2018 challenges you to make headlines as you become immersed in the world of F1 more than ever before. You will have to build your reputation both on and off the track, with time-pressured media interviews that influence your career in the sport. Do you exhibit sportsmanship or showmanship? Will you develop your team to the top or send your agent to target a rival team and driver? F1 2018 puts you in control of your destiny. Featuring all of the official teams, the drivers and all 21 circuits of the thrilling 2018 season. Xbox Game Pass grants players access to more than 100 Xbox One and Xbox 360 games for 10 bucks a month — you can check out a full list of available games here. New subscribers can get their first month of Game Pass for only $1. What Xbox Game Pass titles will you be tackling over the coming weeks? Just Cause 4 has its flaws, but its certainly worth a shot, and Fallout 4 should mostly get that bad Fallout 76 aftertaste out of your mouth.